Meet the Piña-Vocado. 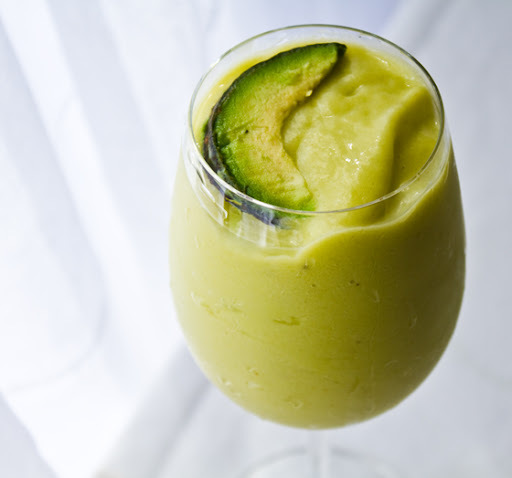 Avocado Smoothies! 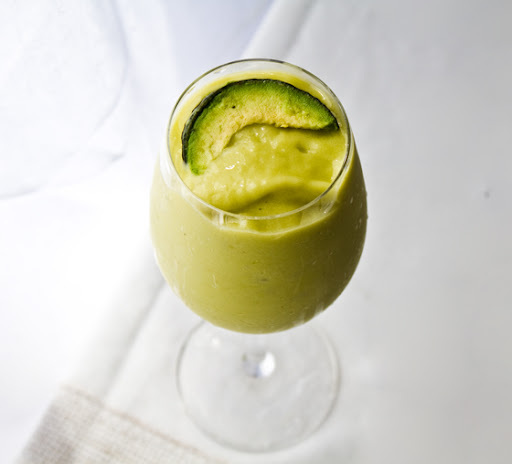 You already love avocado in your salads, sandwiches, dips and maybe even raw puddings - well how about in your smoothies? No? Yes? Oh yes.. I was hungry. I looked on the counter to see a beautiful, ripe, plump avocado staring back at me. But I was all set to make a smoothie. Hmm.. why not combine the two? I had seen this done before on random blogs - especially raw blogs - those crazy-fabulous raw foodies are always adding avocados to the most genius of recipes! So I plopped half my avocado into my - what was going to be a Piña-Colada style smoothie - and drum roll please... the Piña-Vocado was born. Sip. Taste. Swoon. 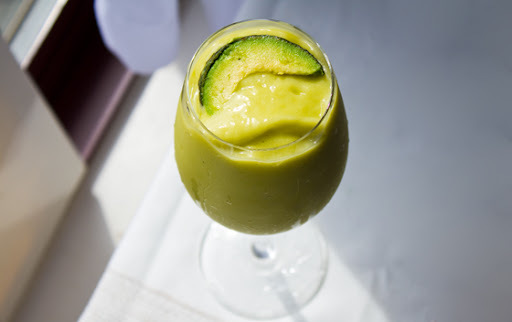 Check out the Piña-Vocado ahead!.. Healthy avocados are rich in omega fatty acids and a perfect addition to a healthy vegan diet. I add avocado to some part of my daily meal line-up, probably every other day. But I wasn't always this way..
Actually, when I first because vegetarian/veganish in early college I was quite shocked when I received the results of a blood test. It tuned out that while my total cholesterol was low - my bad AND good cholesterol numbers were low. Not good. I needed to raise those HDL numbers! So being a vigilant nutrition-interested young woman, I hopped on board the healthy fats train. My food of choice? I added plentiful avocados to my diet. A few months later when I took the test again my HDL had raised significantly! I reasoned that to mean those avocados were doing the trick. Read more about my Healthy Fats/Fat-Phobia - personal story here. 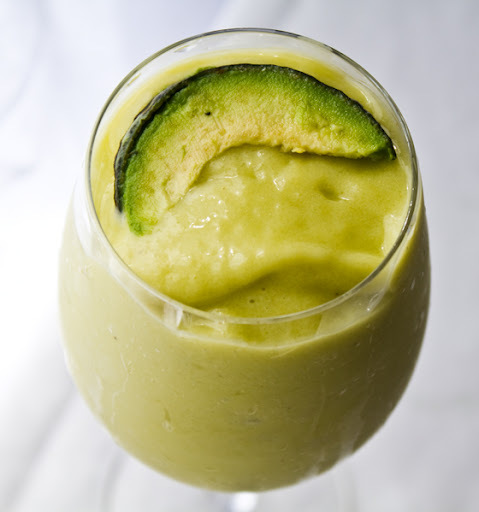 So if you love guac, avocado salads and sandwiches - now try avocado smoothies! 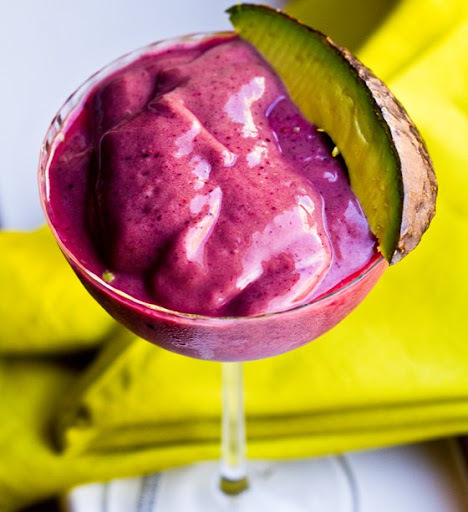 A berry-infused variation of this recipe (shown at top) is the Berry-Cado Smoothie. Instead of pineapple/coconut milk - I added in frozen berries and more. Recipe here. 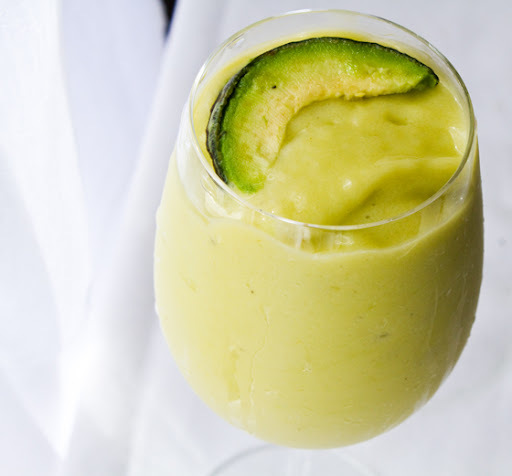 And here is the Piña-Vocado recipe..